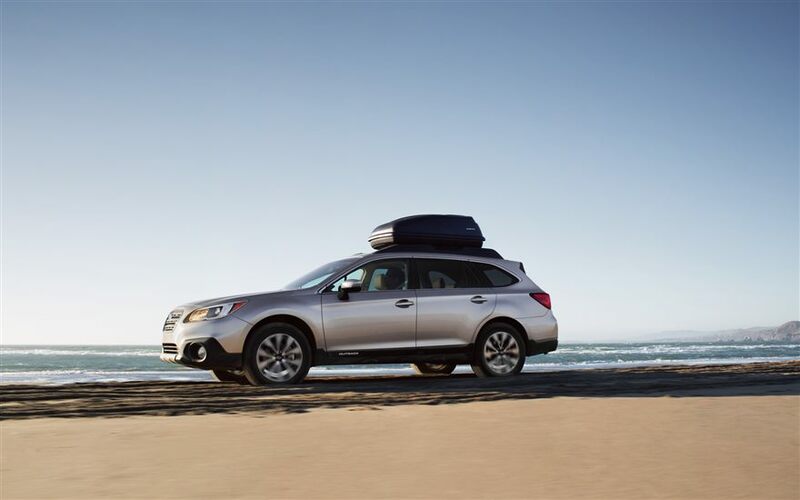 Handling is fairly light and easy and the Outback turns into corners like a sedan or compact SUV. It’s easy to handle and park. Ride is excellent due to a 108.1-inch wheelbase, plus it features MacPherson struts up front with internal rebound springs and a stabilizer bar, plus double wishbone suspension and stabilizer in back create a smooth, pleasant ride. The ride is controlled, but not soft. Power is good without being over abundant. Torque is surprising when you first touch the gas pedal the CVT delivering perky acceleration from a stop. It’s only into its mid-range power that the 2.5-liter boxer engine (horizontally opposed cylinders) seems to fall off a bit and the engine moan some. There is 175 horsepower here with a torque rating of 174 and Subaru’s CVT, among the best in the market, offers a manual shift mode if you need to use more of that torque. This engine was Subaru’s PZEV model. That stands for Partial Zero Emission Vehicle. Subaru has created a special version of its sturdy 4-cylinder boxer engine to emit minimal emissions. Subie’s engineers do this by adding a special charcoal canister, better fuel injectors, a reprogrammed engine control module and a special catalytic converter. Result? Zero emissions at certain times. The other good news is this engine and CVT combo are efficient, the Outback being rated 25 mpg city and 33 highway by the EPA. I got just 19 mpg, but much of my drive was during sub-zero weather and 80% city driving. My experience is that such weather gobbles up 3-5 mpg. 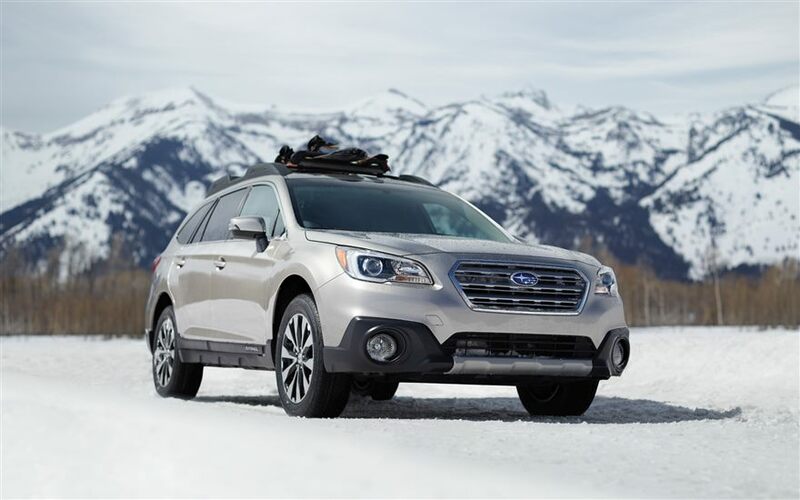 Don’t forget the Outback, like all but one Subaru model, has all-wheel-drive. That’s fulltime and gives the car plenty of grip in sloppy conditions. I’ve likened the Subaru system in the past to feeling like your car is on rails and it still feels that way. Very stable and easy to control. This one also touts X-MODE at the push of a console button. 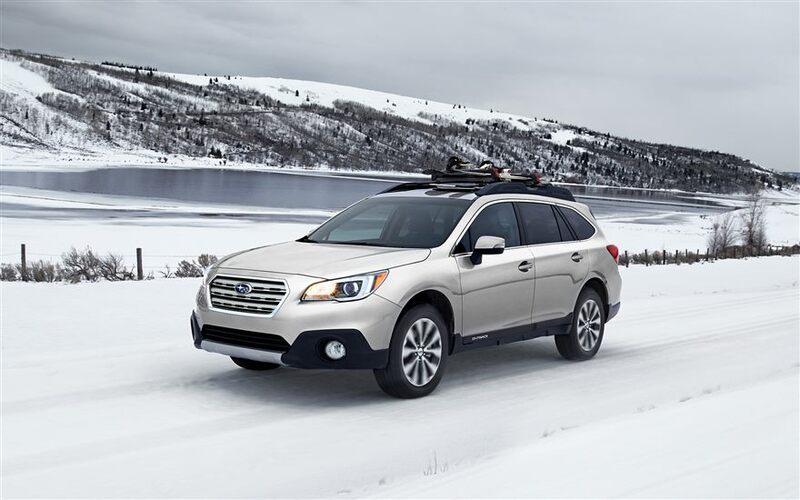 X-Mode adjusts engine response while it optimizes the AWD system, traction control and braking system to give the Outback exceptional traction on slippery surfaces. You also can use it with the car’s Hill Descent Control to keep the Subaru under control on slippery off-road downhill surfaces. 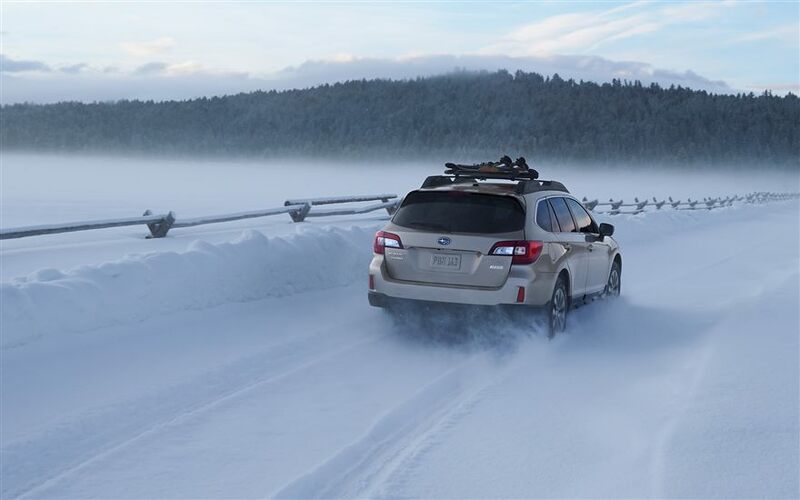 Another plus, the Limited, and most trim levels, include Subaru’s all-weather package that includes heated side mirrors, wipers, and de-icer nozzles. Outback also is solidly built in Indiana with framed doors (old Subies had frameless doors) that close with a solid, luxury car feel and sound. This and other sound deadening makes Outback’s interior extremely quiet. I like the Limited’s interior, a black over tan dash with dark fake wood and matte silver trim, which carries over to the doors. Seats are perforated tan leather that are well formed, but more firm than previous models’ seats. I’d add more padding. Ironically, the center armrest/storage box lid and door armrests are extremely well padded. This is a sharp looking interior, with easy to read and reach controls. Limited’s front and rear seats are heated, the power front seats getting three heat levels, plus there’s a two-memory seat setting on the driver’s door. The driver also gets power lumbar support and the ability to raise and lower the seat, which the passenger does not. I would think a heated steering wheel would be standard at this trim level. But no heated wheel is available, even as an options. 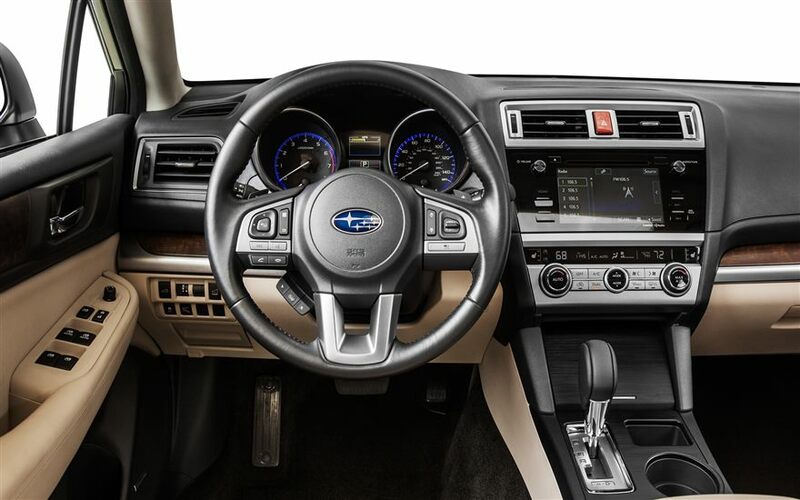 Subaru creates an attractive dash that’s well laid out and easy to see and find all the right buttons and gauges. The Limited features dual climate controls and I really like the blue rings around the main dash gauges making them highly visible at night. Outback’s center stack features a handsome gloss piano black facing that surrounds a large nav/radio screen that also serves as the rearview monitor. This is much larger than past models and also bigger than its cousin, the Forester’s screen. While viewing it is easy, the buttons are not sensitive enough to respond to a driver wearing gloves. So you must shed gloves to adjust the radio or navigation system. Kia has figured out how to create a touchscreen that works when touched by a gloved hand, but few others. The interior feels roomy with good head and legroom front and rear, plus a sizeable 73.3 cubic feet of cargo room behind the second row. The test car added thick all-weather floor mats and a cargo mat too, just $72. Limited’s rear hatch also is powered for easier entry when your hands are full. A little pricier though is the test car’s Option Package 23, checking in at $2,990. Yet it delivers a lot, including a power sun roof, dimming rearview mirror with compass and HomeLink, plus push-button start. Also part of the deal is a voice-activated navigation and radio system, which already is a snazzy Harman-Kardon stereo with 12 speakers. On the safety side, the package adds EyeSight, Subaru’s pre-collision braking system to help you avoid rear-ending another vehicle that slows quickly. 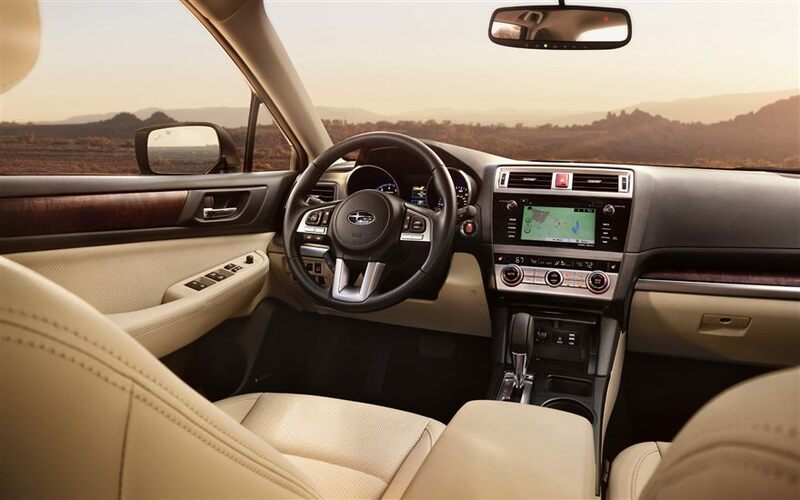 Pre-collision throttle management is part of the safety equipment too, along with adaptive cruise control and the ever annoying lane departure warning system. You can turn that off after the car warms up though. Standard is a blind-spot warning system, or what I call good tech. One more plus, and this is the same for the Forester along with many crossovers, access is easy. Getting in and out of Outback is simple because of its moderate step-in height. Us 50-somethings, and beyond, like being able to turn in our seat and step straight out without having to lift ourselves up, or drop ourselves down. Naturally the Limited is near the top of Subaru’s Outback lineup. Only the 3.6R Limited is higher on the totem and checks in at $33,845 including delivery, plus it packs a 254-horse 3.6-liter boxer 6-cylinder. But you can opt for a 2.5i for $25,745 including delivery or move up a notch to the 2.5i Premium with a base price of $27,845, including delivery. 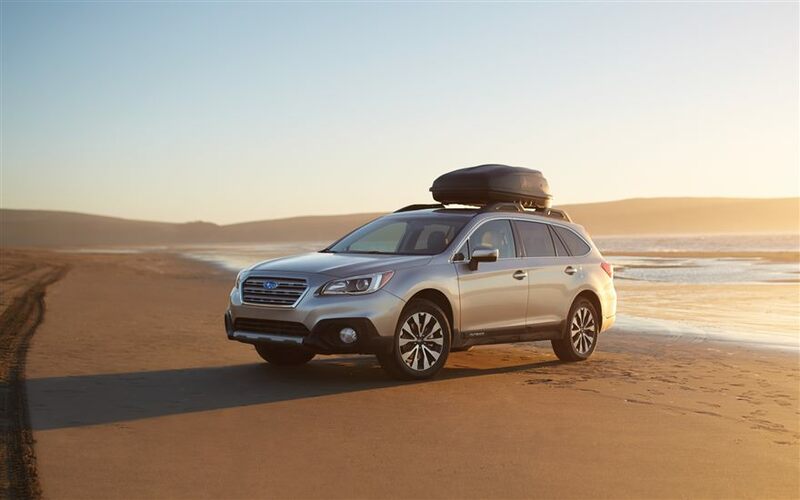 Certainly you can pay more for an all-wheel-drive crossover, but Outback allows you to enter the AWD market with style and comfort at a good value. Hits: Lively low-end torque, good handling and excellent ride, plus AWD. Attractive interior with heated leather front/rear seats, sun roof, blind-spot warning, big rearview camera screen, roomy interior and lighted blue rings around main gauges. Power hatch too. Misses: Torque falls off in mid-range with CVT, plus increased engine noise. Touchscreen not sensitive enough, driver must take off gloves to make it work. 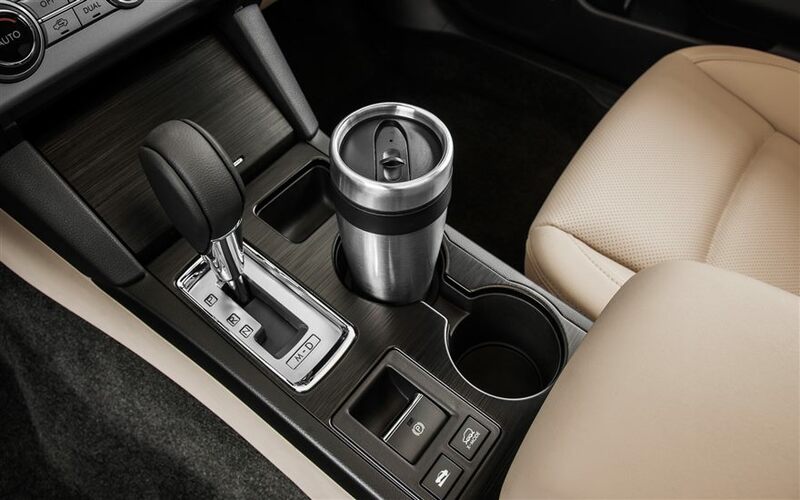 No heated wheel, seats are overly hard and vehicle heat slow to come on in frigid weather.